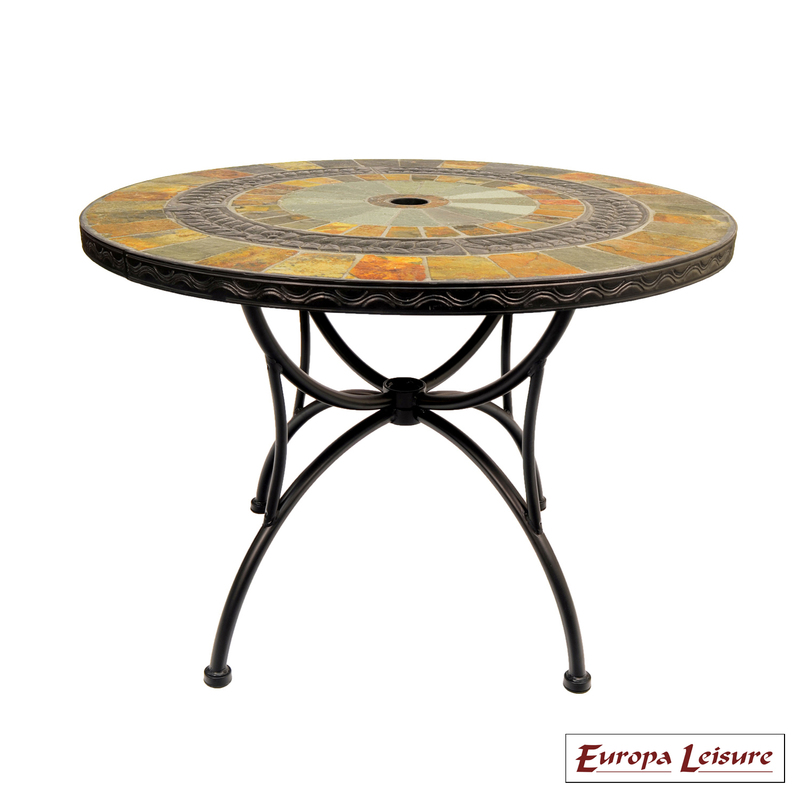 The 100cm Alcira table is constructed with exceptional quality, the natural slate and hand crafting makes every table unique. 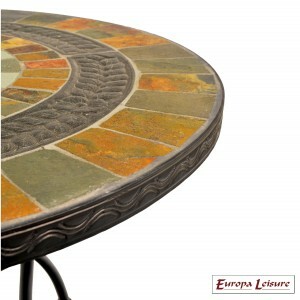 The embossed feature ring adds an unusual finish. The Stockholm chairs stack and included a thick cushion. 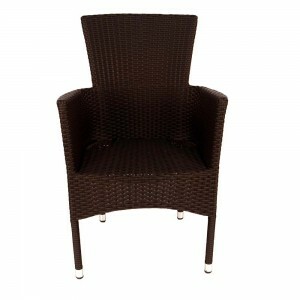 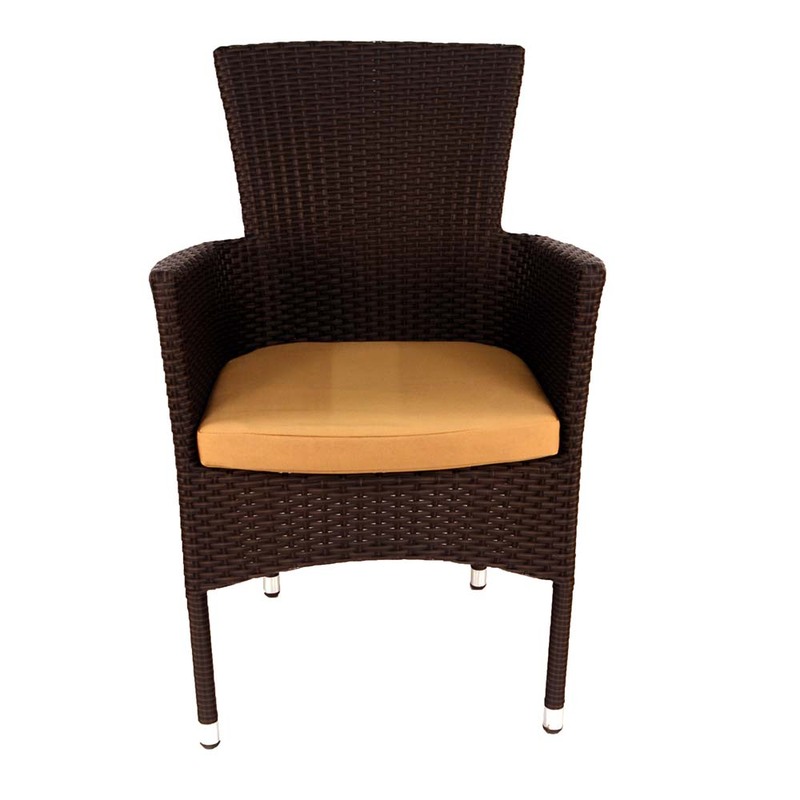 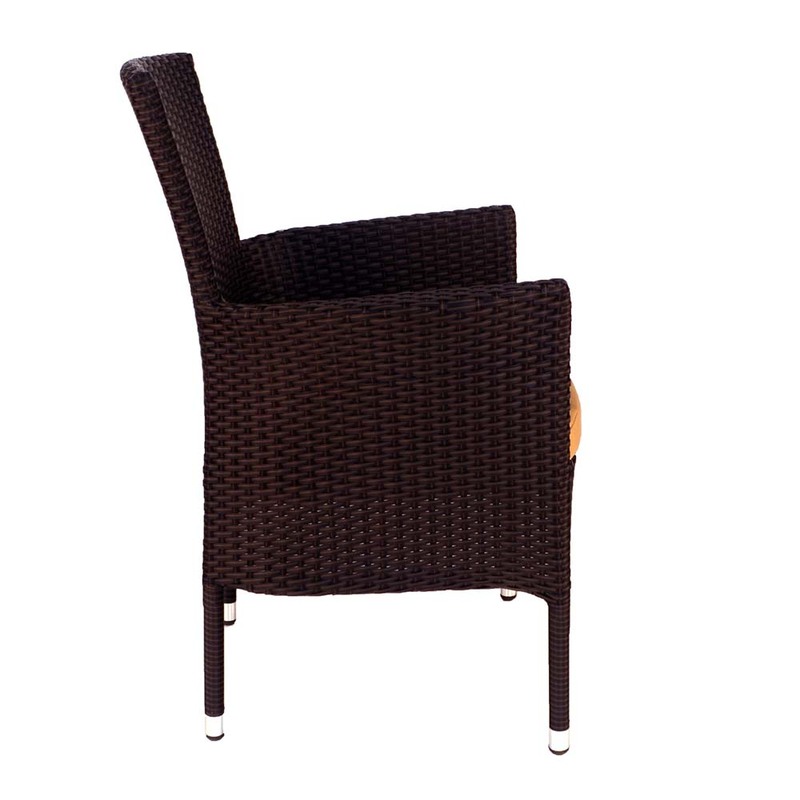 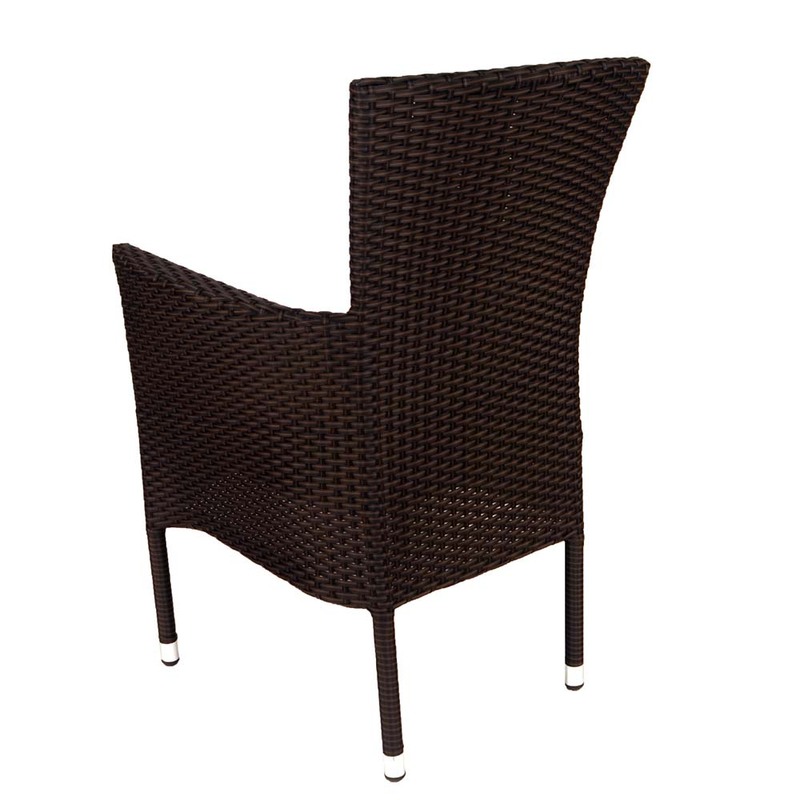 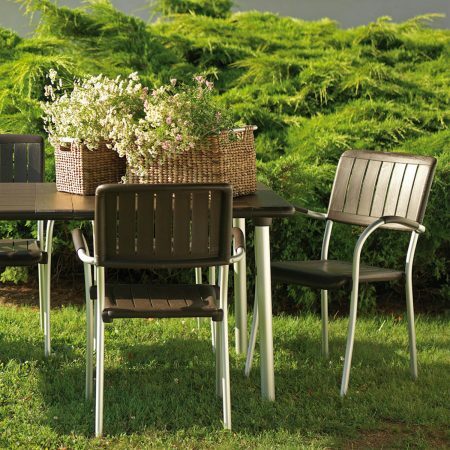 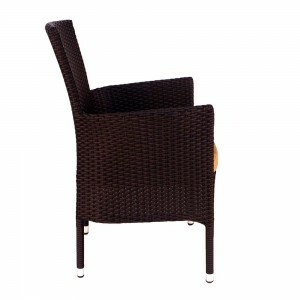 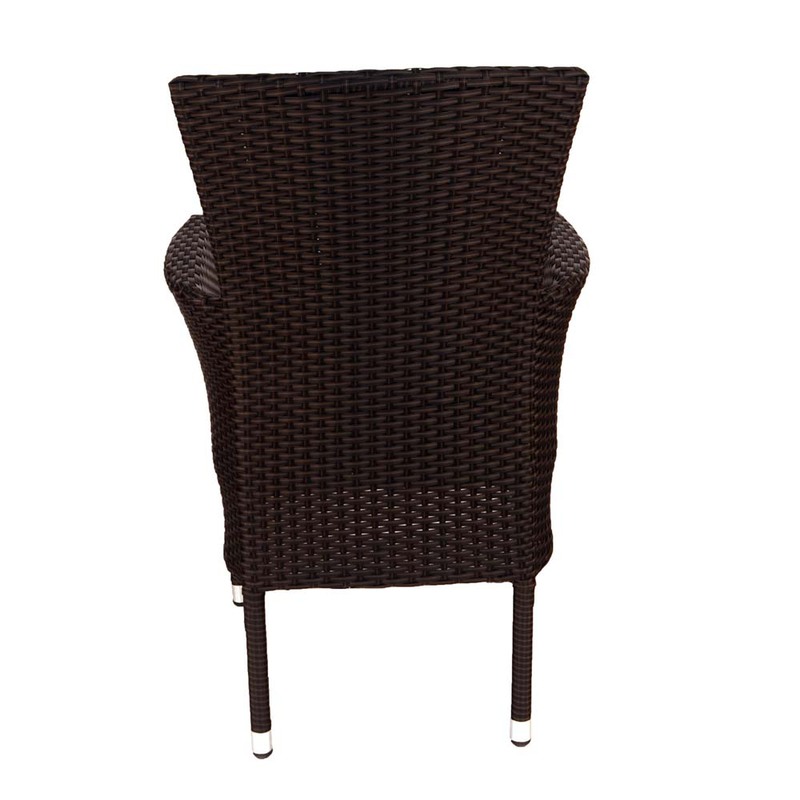 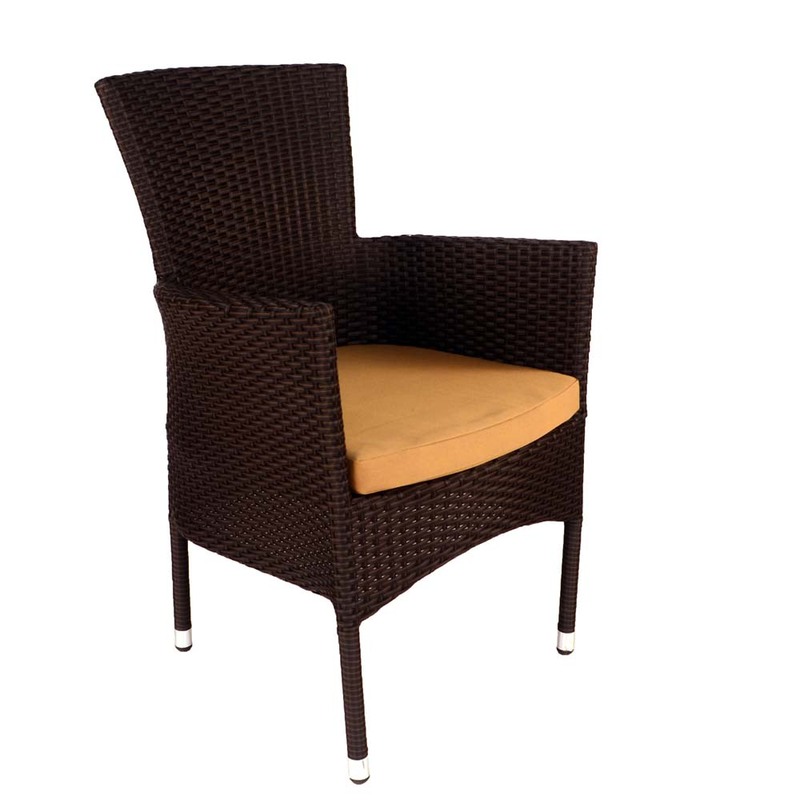 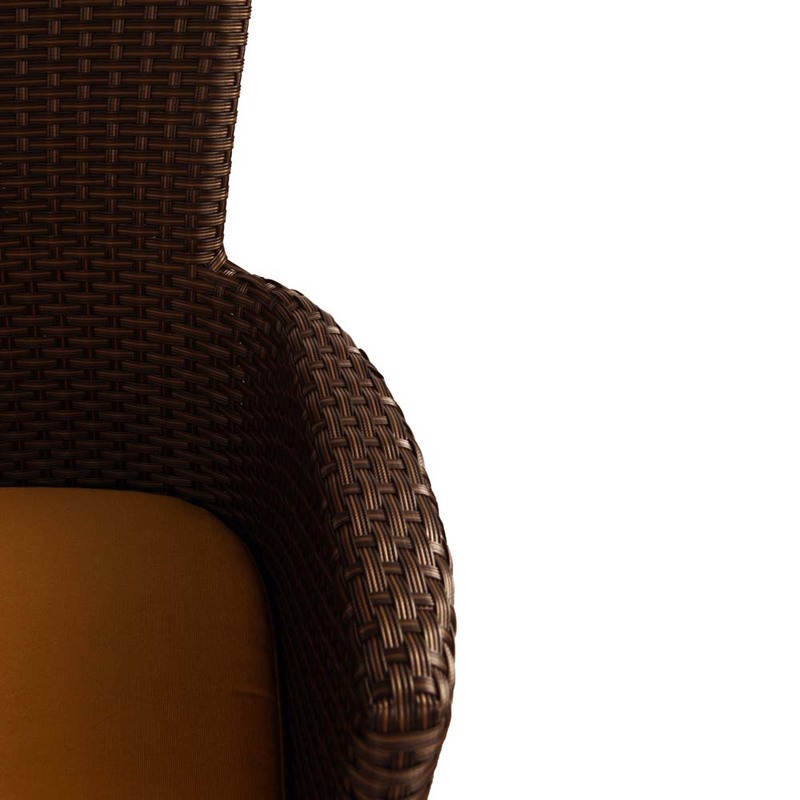 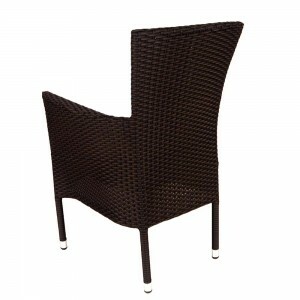 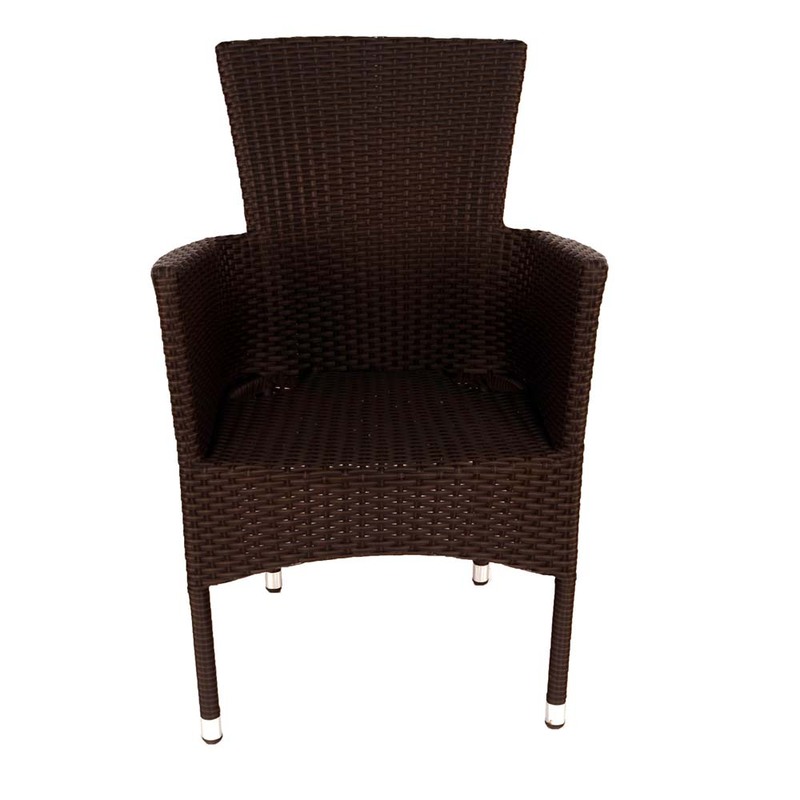 The aluminium frame is hand woven in weather resistant brown wicker, a black wicker option is also available. 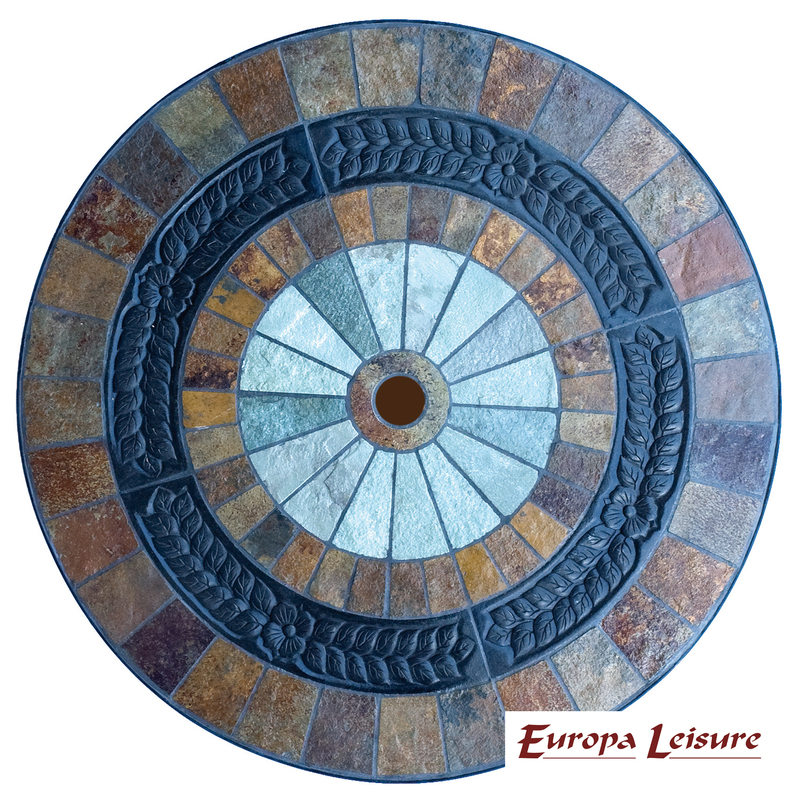 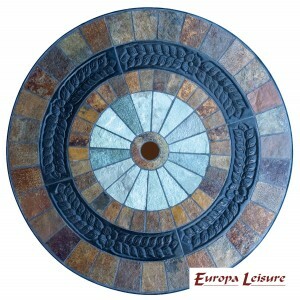 The Alcira table is made from hand-cut natural slate of warm red and browns with a contrasting inner circle, it also has an embossed leaf pattern resin band. 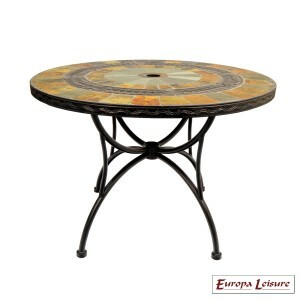 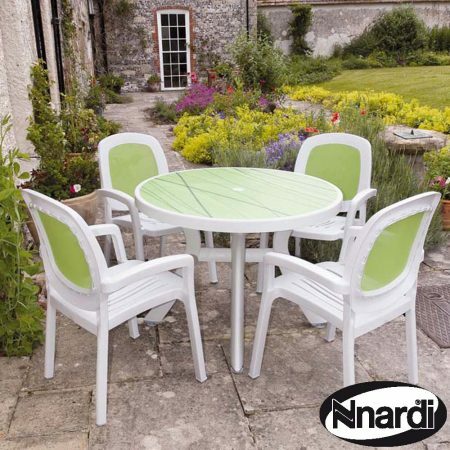 The rim has and embossed pattern on it and like the legs is E-plated steel finished in black. 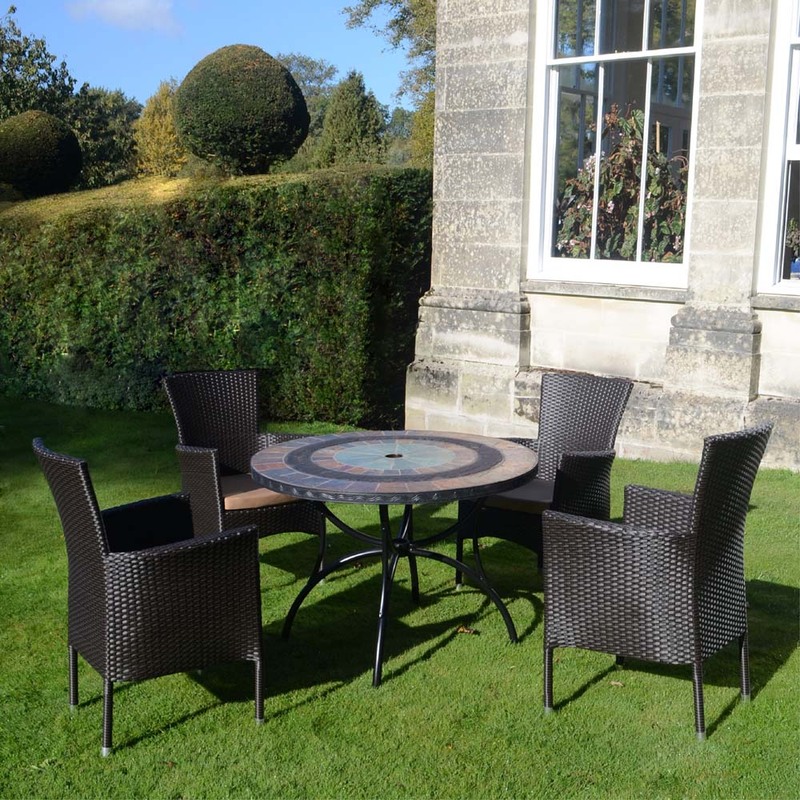 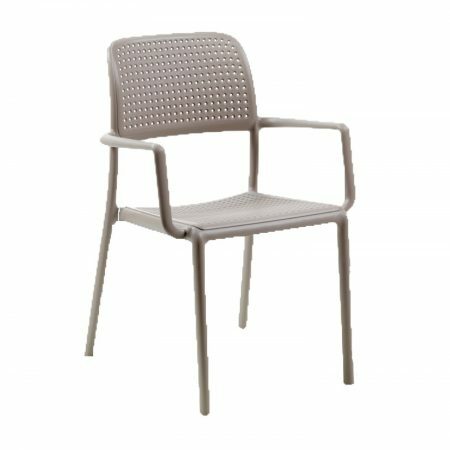 The Stockholm chairs stack and included a thick cushion, they have an aluminium frame and are hand woven in weather resistant brown wicker, a black wicker option is also available.